For the second consecutive year, Procter & Gamble’s Tampax and Always feminine protection products are partnering with an organization that sponsors an online dance competition for black college majorette teams across the country. The P&G brands are teaming with the HBCU Dance Corporation, a reference to Historically Black Colleges and Universities, where majorette teams have long performed intricate dances that would seem to challenge Paula Abdul. The dance routines have been a part of HBCU football game halftime shows for decades, and researchers say the tradition goes back further than that. 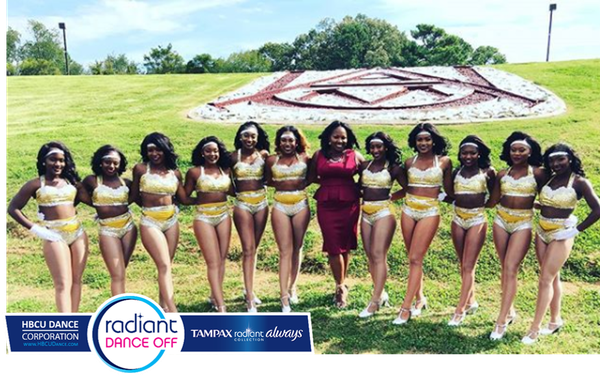 The #RadiantDanceOff contest -- Radiant is a Tampax and Always line extension -- runs from Oct. 8-22, during college football’s homecoming season, when HBCU majorettes strut their best stuff. Viewers can watch the routines online and vote for favorites. The promotion also works with P&G’s campaign to equate feminine protection with confidence and with a worldwide movement to end what some have termed “period poverty” that makes it difficult for poorer women to get the products they need. he Always and Tampax involvement, also reinforces the idea that their brands allow women a free range exercise without concerns. Tampax has a long history of sometimes cringe-inducing ads that made the same pitch.